1. What Is 401(a) Retirement Plan? 2. "Comparison & Contrast of 401(k), 403(b) and 457(b)"
If you have a retirement plan through your employer, there's a good chance it's a 401(k) plan; however, employees in certain industries may instead provide a 403(b) plan. These plans are only available to employees of tax-exempt organizations, which are typically religious organizations, public schools and hospitals but can include other types of employers such as nonprofits. While 401(k) plans and 403(b) plans have a number of similarities, they also have some differences. A 401(k) plan and 403(b) plan essentially work the same way: they're employer-sponsored retirement plans in which employees can save for retirement using their pretax earnings. They are different in that 403(b) plans are only available to certain tax-exempt organizations, and they often have different investment options and vesting schedules. Some 403(b) plans also offer a higher contribution limit in certain situations. A 401(k) plan allows you to put away money from your paycheck every pay period, before taxes, to save for retirement. The money is deposited into an investment account, where it grows interest as you keep adding money. This has the dual benefit of saving for retirement and reducing your taxable income for the year in which you make the contributions since the money is taken out before taxes. Your employer may also make contributions to the plan for you as part of your employee benefits package, contributing up to a certain percentage on your behalf with the employer's money, matching your contribution up to a certain amount. When you retire, you can start receiving distributions from the 401(k) as long as you've reached age 59 1/2 or older. You're then taxed on the distributions because you put the deposits in before paying tax on the income. A 403(b) plan generally functions the same way as a 401(k) plan in that your employer takes money out of your check before taxes and deposits that money into a retirement account. Also, just like a 401(k) plan, you can start receiving distributions from your 403(b) plan when you retire as long as your reached age 59 1/2. What Are the Differences Between 401(k) and 403(b) Plans? The main difference between a 401(k) and a 403(b) is who gets to use them. Private employers can only offer a 401(k) plan unless they meet the definition of tax-exempt under the tax law. If you have a regular private employer that isn't a nonprofit, you can't have a 403(b) plan; however, a nonprofit can offer its employees 401(k) plans. The Employee Retirement Income Security Act of 1974 governs 401(k) plans, but 403(b) plans are exempt from ERISA. This means that 401(k) plans have more stringent regulations to protect employees, while state law and federal securities regulations govern 403(b) plans. For 2018, the total amount you can contribute to either a 401(k) or 403(b) plan is $18,500. That amount will increase to $19,000 for 2019. The limit doesn't include the amounts your employer can contribute. You may also qualify to make "catch-up" contributions of an extra $6,000 if you turn 50 during the calendar year or are over 50. This means that if you're 50 and up, your contribution limit increases to $24,500 for 2018 and $25,000 for 2019. If you have more than one 401(k) plan or 403(b) plan, or if you have one of each or more, the contribution limits are cumulative; your total contributions to any plan cannot exceed the limit. So if you have two 401(k) plans, you can't contribute $18,500 to one plan and $18,500 to the other; you're limited to $18,500 total for 2018. Although your individual contribution limits for these plans is $18,500 in 2018 and $19,000 in 2019, your employer's contribution isn't bound by these limits. However, there is a total annual limit that includes contributions from all sources, including your employer. For 2018, all contributions to the plans from any source cannot exceed $55,000 ($61,000 including catch-up contributions) in 2018, or $56,000 ($62,000 for catch-up contributions) in 2019. So if you contribute $19,000 to your 401(k) in 2019, and you don't qualify for catch-up contributions, your employer can't pay more than $37,000 to the plan on your behalf. 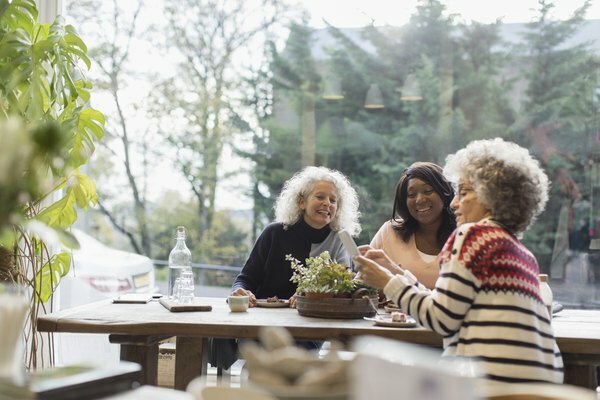 If you are 50 or over and you contribute $25,000 in 2019, your employer is limited to contributions of $31,000. 401(k) plans are beneficial because they allow you to accrue tax-deferred retirement savings. Because the money comes out of your check and goes into the 401(k) before you pay taxes on it, the contributions reduce your taxable income for the year in which you contribute, and you don't have to pay taxes on it until you start getting the money when you retire. You can also borrow from the 401(k) and pay yourself back with interest if you need the cash. On the other hand, you're limited in how much you can contribute to a 401(k), and you can't access the money before you reach the age of 59 1/2 without paying penalties or taking the money as a loan. 403(b) benefits and burdens mirror the benefits and burdens of 401(k) plans. However, additional 403(b) disadvantages are easy to see, such as the lack of a requirement to comply with ERISA. ERISA was enacted to protect workers' retirement funds, and a 403(b) plan is simply not in its purview. Additionally, your private nonprofit employer may choose not to offer any contribution matching, because if they do, they're subject to ERISA regulations and have to work harder to comply. On the other hand, 403(b) disadvantages are offset by some additional benefits. These plans do often have shorter vesting schedules than 401(k) plans, and your catch-up contributions for a 403(b) plan can be as high as $21,000 if you've been enrolled for 15 years or more and your employer is a public school system, hospital or church, or certain entities related to these. Even in that situation, however, the total contribution limits of $61,000 in 2018 and $62,000 in 2019 still apply, so although you're able to make the full $21,000 catch-up contribution in 2018, your contributions from yourself and your employer still cannot exceed $61,000 in total. How Are 401(k) and 403(b) Plans Taxed? Because these retirement plans are funded by pretax dollars, you don't pay taxes on any of the money in the accounts until you take it out. The distributions are then taxed as ordinary income, even if you take it all out in one lump sum. Since the distributions are ordinary income, you'll be taxed according to the progressive tax brackets, just as you would if the money were wages from your job. If you withdraw money from a 401(k) or 403(b) before you reach the retirement age of 59 1/2, you will pay an additional 10 percent tax penalty unless you are totally and permanently disabled, or unless the withdrawal is a loan. Even if you take out a hardship withdrawal, you will still have to pay the penalty unless you're disabled. Money Magazine: What Is the Difference Between a 401(k) and a 403(b) Plan? CNN Money: How is a 403(b) Different from a 401(k)? CNN Money: How Does a 401(k) Plan Work? Do 403(b) and 401(k) Limits Combine? Are 403B Retirement Accounts Insured? Why Roll Over TSA 403(b) to IRA?